I’m Ru. This is my blog. It started out as my personal online running log, but after a while “running” meant more than a sport-specific activity. Personally it encompasses every aspect of life off the trail or road. Aspects like family, health, nutrition, work, and play. If I can do the best possible in all those areas, plus help or inspire others to do the same, then I’m having an ultimate run. In high school I was a very average runner. I ran as a sophomore and junior. I was capable of covering the 5k distance and did the occasional 10k and rarely cared for racing. The sport was just a way to be with friends. The only time I really enjoyed the run as a teen was on a weekend with my own running along a main road. By senior year, running was less important and took a backseat to partying. After high school running occurred in waves. Initially used it as a way to try to lose post high school weight. Then in early 2000s it became a way to relieve stress. Although I did some running, I really didn’t enjoy it. In 2010, I challenged myself to run up to the 12 mile distance. I accomplished 9 miles on one run then a back injury prevented me from running for about a month. This was when I started to love running. It took a couple of months to recover and most importantly regain motivation. I gained some momentum at the tail end of 2010, but never completed the 12 mile run. During the 2010 holidays, healthier and motivated, I recommitted myself to running and challenged myself to complete a half marathon in 2011 as a way to make up for 2010. 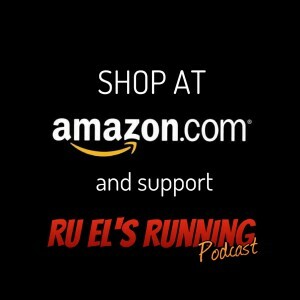 I gained a lot of inspiration listening to podcasts from Two Gomers Run A Marathon and Marathon Training Academy preparing for a half marathon. After every podcast episode the hosts Angie and Trevor reminds listeners that “You have what it takes to run a marathon.” All the constant encouragement worked because almost after I decided to do a half marathon, I decided to also do a full marathon as a separate 2011 goal. 🙂 In July 2011 I completed The SF Marathon. In 2012, inspired by Ultra Runner Podcast, Trail Runner Nation, and Endurance Planet, I planned, trained, and completed a solo 50k mission, my first ultra marathon distance. I realized I want to keep doing ultra distance challenges. I also realized if I wanted to do it with longevity, I’d have to manage family, training, and nutrition. During my recovery and vacation after that 50k, I came across Rich Roll’s book Finding Ultra, which opened my eyes to ultra endurance sport. Then I came across Vinnie Tortorich’s America’s Angriest Trainer Podcast and that was a game changer is so many positive ways. This is my life, my journey and where the real run starts while living a fat adapted NSNG lifestyle.